Let’s take a little trip forward in time to the trends you could be wearing next year. 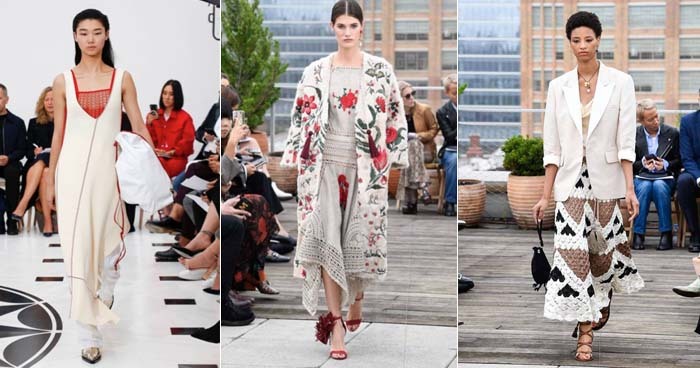 The Spring Summer 2019 fashion shows have given a good glimpse into the fashion trends 2019. 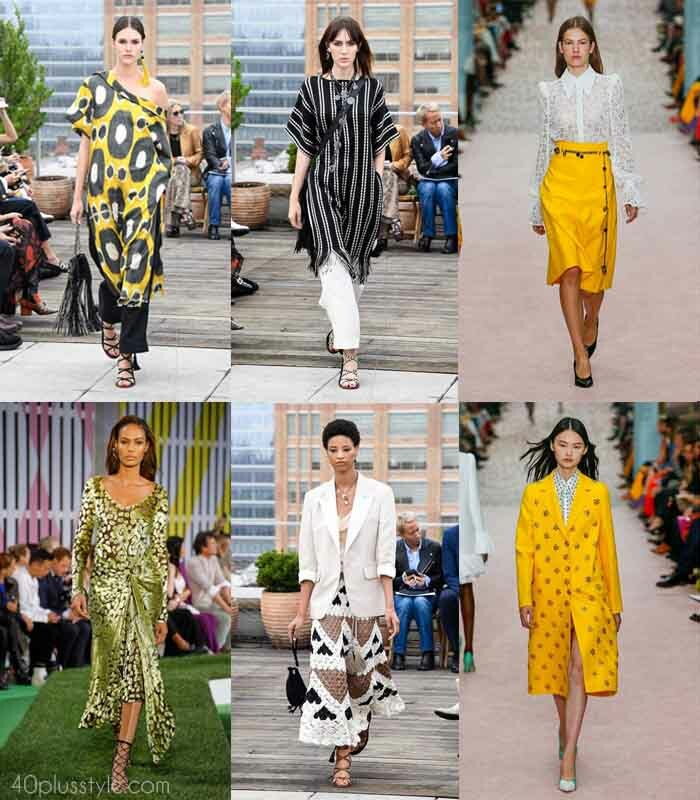 Here are some of the best trends for spring and summer next year for women over 40. Next year’s fashion trends are already presenting themselves. But, not all of them were flattering for women over 40. This one definitely isn’t for wallflowers. But, if you’re more of a sunflower, this shade is perfect. You don’t have to go top-to-toe yellow if you’re not ready, opting for one piece or an accessory in this shade can still make an impact. There’s more inspiration here in this piece on how to wear yellow. 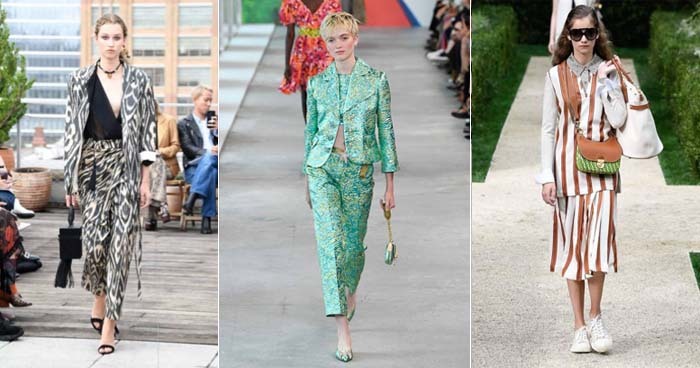 Lots of 90s trends are making a comeback for spring and summer 19. So, it be time to dig deep into the back of your closet. They included slip dresses worn over tee shirts. But my favorite was dresses over pants. 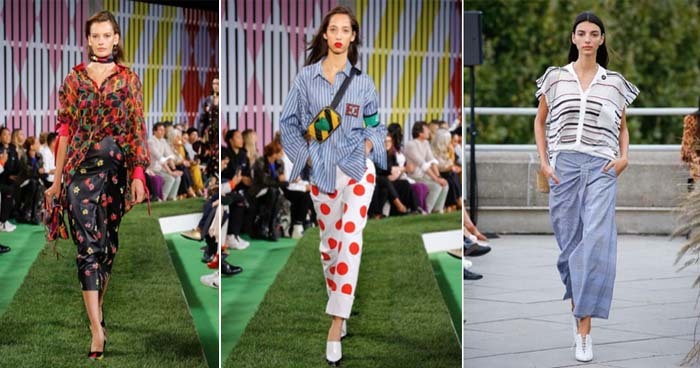 While previously, the idea of matching everything in your outfit too closely was seen as fuddy duddy, co-ordinated tops and skirts or tops and pants have definitely been a big trend over the past few seasons. 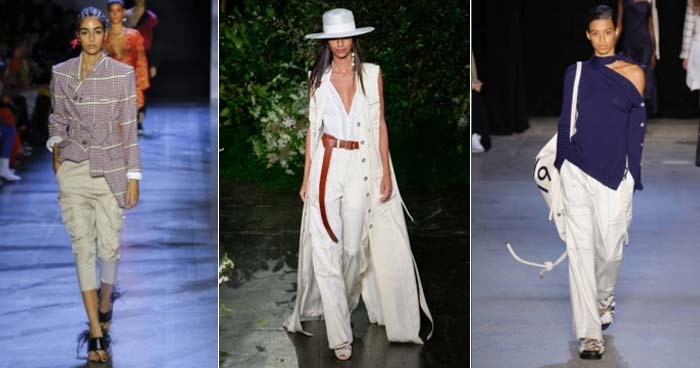 For spring and summer 2019, the matching trend is even bigger. I knew I should have kept those cargo pants I wore with high heels in the 90s! 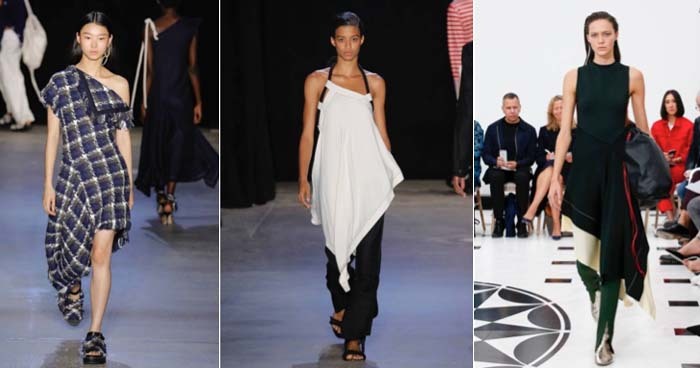 SS19 is promising to be a very flattering time for women over 40. Many of the trends are actually very flattering and very wearable. 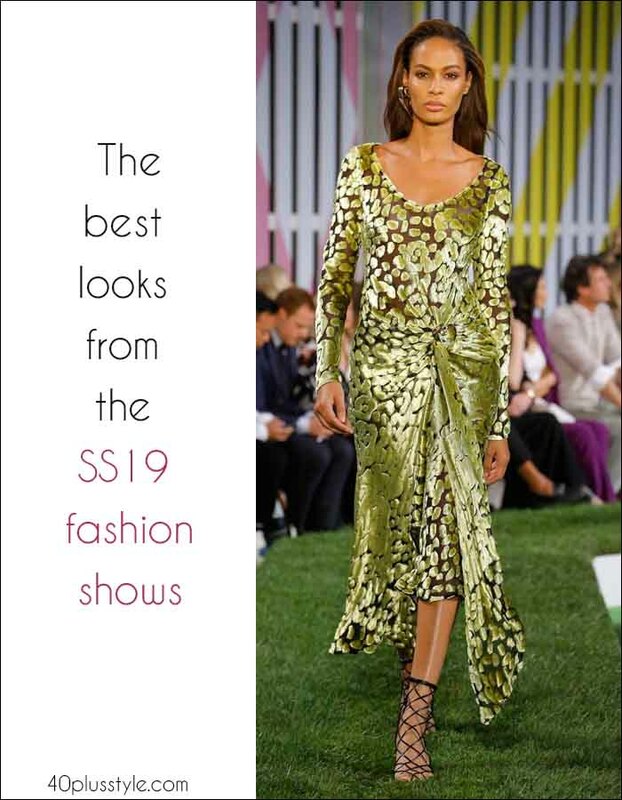 There were lots of asymmetrical pieces on the runways, including dresses with one sleeve, high-low skirts, and asymmetrical dresses and tops. Ideal for wearing over leggings. Many of the runways were a lesson in print mixing. It’s one of those trends which is never truly out-of-style, but animal print definitely had a moment during fall 18 and is set for another one for spring and summer. Another trend which was big for fall, plaid and checks aren’t going anywhere for spring and summer. Now where did I put those knitting needles? While top to toe crochet may be a difficult trend to wear, you could always look out for a top or dress with crochet detailing. 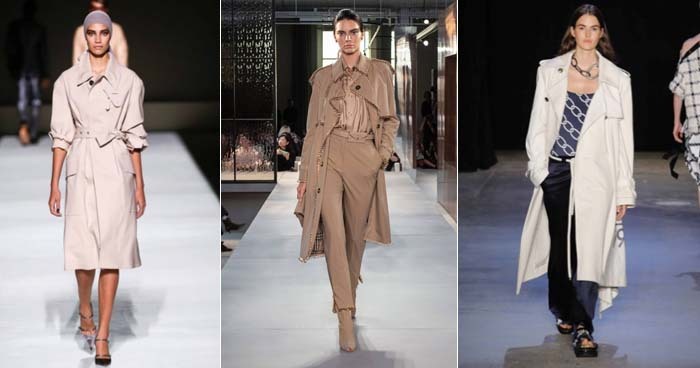 There were lots of true classics on the catwalks for spring 19, including the timeless trench coat. If you haven’t already got one, it’s definitely worth the investment. It’s one of the top transitional pieces you can own. Unless I happen to be going for a cycle ride, and probably even then, I don’t think these are for me. And, especially not with a blazer. However, I did rather like Prada’s take on the knee-length short. Much more sophisticated than the bike shorts seen everywhere, you could definitely wear these with a silky blouse, blazer and heels. Which of these trends do you already have in your closet? Which do you love? Which do you hate? Let me know in the comments below. You’re very welcome! I always think it’s useful to have an idea of what next season’s trends are going to be when shopping for this season, so you can get something which will be on-trend for a long time. 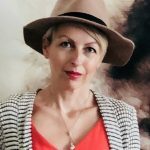 So, Im just over 50… and Im not sure when this was written (I see the title for Spring of 2019 so….Anyways, I dont think I’ll go for the dresses over pants, matchy-matchy, and animal prints but everything else is definitely in play! Thank you for posting!! Not to be unkind but these styles are so unattractive and sometimes unkept looking. Still fun to look! Its not unkind as much as not understood. Every one of the looks is lovely, but many are so used to tighter clothing, like skinny jeans, and expect things to be very tidy. So half tucked looks and lots of volume confuse their eye. And the layering upon layering thing is so brand new that people simply don’t know how its supposed to look. Remember that runway shows ARE NOT AN EXAMPLE OF STREET WEAR. This is not an example of what you should wear out the door in the morning, although some of it certainly can be. Its an exaggeration. In the real world this will be watered down, and not worn head to toe. Love the yellow, so warm. Especially that Carolina Herrera skirt. And matchy matchy? That’s me. Had to hide it and got used to not being matchy matchy anymore. Atlast. But I have no problem incorporating it again. Trench coats? Just invested in two off-white ones (crazy I know). Looking good for me next summer. I am over 6o. The trends already in my wardrobe are asymmetry, plaids, mixed prints, amimal prints. Oh and I guess crochet too as I look down and see I am currently wearing a open weave, high/low hem, knit sweater. I love having many options that make dressing fun. Only trend I don’t like is dress over pants. To many layers in the tummy, hip and upper leg area for me. I love dresses over trousers and now over leggings. Am 52 and wore leggings 20 yrs ago but only just started with them again. Great as can wear with knee high boots which didn’t have 20 yrs ago. Also keen on open weave/Lacey knitwear. Animal print, trench, plaid, asymmetry and yellow I will be wearing. I’m with you, Sylvia. No bicycle shorts! Been there, done that. Marigold yellow is too harsh for me. But I like softer yellows. Never cared for the trench, animal prints, crochet or cargo pants. I’m over sixty, and like the rest, especially the long dresses over pants (which look exotic. And matching can be slimming. Like the slim long skirts but can’t wear a bright canary. I am 5’5″ with a small frame. Like to wear dresses over leggings but not over pants. Too much material. I love that animal prints are coming back as those items have stayed in my closet and I still gravitate to them. I like beige, black, cream with perhaps splashes of color like reds, corals etc. Thank you for the peak at the coming trends Sylvia. I love the “Dresses over pants” ,Print mixing, Asymmetry. I’ll never wear animal prints. I’m 69. My thoughts exactly. Im liking the gypsy layers and looser look. I like the saturated tones….but Im not going for animal print unless it is in really tiny amounts. Like maybe trim. I am very excited to see more people embraced the multi layered big volume look. I am already seeing it done, and I like what i have seen so far. The thing to remember is that everything is new, so go ahead and play and don’t worry if you don’t look tidy, or if men can’t see your bottom like they used back in the stretchy jeans phaze. Dresses over pants!! Skinny pants, wide leg capris, wide leg pants, regular pants, leggings. Under knee length dresses, tunic dresses, layered dresses, long dresses, asymmetrical dresses…Been doing it for a long time now, I’m small (under 5 feet), 64 years old, not skinny by any means–but it works for me for some reason, or people seem to think it does (like I really care about that, lol–although my husband loves the look). And I usually wear flats. And matching tones, of course. I guess it is all in finding what works for the individual. I won’t wear animal prints, they just look out of place on me, personally. Some women look great in them. Biker shorts, NO WAY. Not with this old back end. I’ve had my classic “mac” for well over 25 years. Like others have said, it is what works for the individual. Hey, wow…my way of dressing just came “in style”!! Previous post: 18 chic looks with jackets and blazers – Which look is your favorite?